We are a leading manufacturer of Train Announcement System in Chennai. We have been supplying our products to government, private and public companies in India. Train Announcement System provides the audio inter communication between driver and guard and announcement to passenger by driver/guard. Keeping in mind the diverse requirements of our clients, we offer our client’s wide range of Train Announcement System provides the audio inter communication between driver and guard and announcement to passenger by driver/guard. 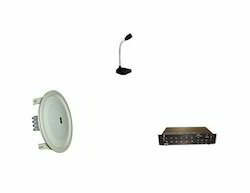 These product consists of amplifier, console with switch panel, microphone, ceiling speakers switch panel and microphone are the parts of console. The console and amplifier are connected to the ceiling speaker in the trailer and motor coaches. Console is the central unit of the system which connects the switch panel, microphone, amplifier and speakers. Keeping in mind the diverse requirements of our clients, we offer our client’s wide range of Train Public Address System provides the audio inter communication between driver and guard and announcement to passenger by driver/guard. 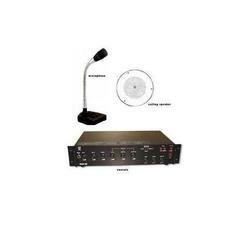 These product consists of amplifier, console with switch panel, microphone, ceiling speakers switch panel and microphone are the parts of console. The console and amplifier are connected to the ceiling speaker in the trailer and motor coaches. Console is the central unit of the system which connects the switch panel, microphone, amplifier and speakers. Looking for Train Announcement System ?